Today’s Coffee & Crafts is two-parter! 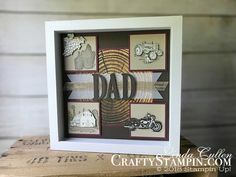 Part one is the adorable card tutorial and part two is the Watch Later Prize Patrol. The card features the Stampin Up Sweet Soiree Suite, Cake Soiree stamp set, Sweet Cake Framelits, Sweet Soiree Specialty Designer Series Paper and Scattered Sequins Dynamic Textured Impressions Embossing Folder. Next Coffee & Crafts Facebook Live will be Thursday, January 18th @ 11 am EDT. Enjoyed your Facebook video today. I am wondering if you would share the format for your pdf. I am a demonstrator in Florida. I type all my pdf’s for my classes from start to finish including step by step instruction. If you will share I would appreciate it. Hi Faith, I use Apple Pages, and created a Template that I populate each time with that particular cards details. 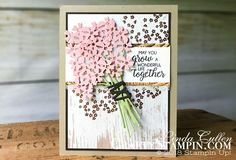 I use “My Stampin Blog” for my product list. I create a similar one for my clubs/classes with full written step by step instructions. Stamp Club ToGo Projects PostedStamp Club ToGo Projects Posted Monthly Club Projects are posted on the private Stamp Club website. Join Stamp Club to gain access to years of past Stamp Club tutorials.